Smarter Card (Holder)! Made from PVC for wearability and long-lasting use. 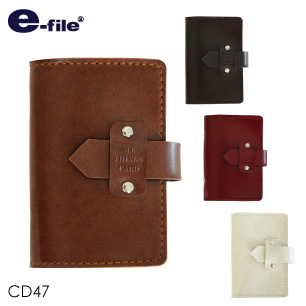 Perfect for holding all your cards, from ATM and credit cards to travel card and many others. There are 12 card pockets and an extra pocket on the inside covers. The holder comes with its own button fastening for better safety. Comes in 4 colours: Green, Red, Blue and Dark Brown. Size 16 x 11 cm.